This is the first match of power packed Sunday doubleheader. The strikers will be high in confidence as they beat the most consistent team of the tournament. Hobart Hurricanes put up a decent total of 169 on board, but Strikers opening came with all guns blazing, Alex Carey (54) and Jake Weatherald (82) put up a 146 run opening partnership with run rate over 10. With 10 points and two matches left, they would hope to win this match at their Home ground Adelaide Oval on 3rd February. Brisbane Heat fate is hanging on the thread as they would want few permutations and combinations go in their way to qualify for the playoff. They are coming from a win from their previous match against Scorchers. Chris Lynn kicked on for a half-century that powered Brisbane Heat home comfortably in a modest run-chase of 130 runs. The bowlers had set the game up perfectly with Mujeeb and Josh Lalor picking up 3 crucial wickets apiece. 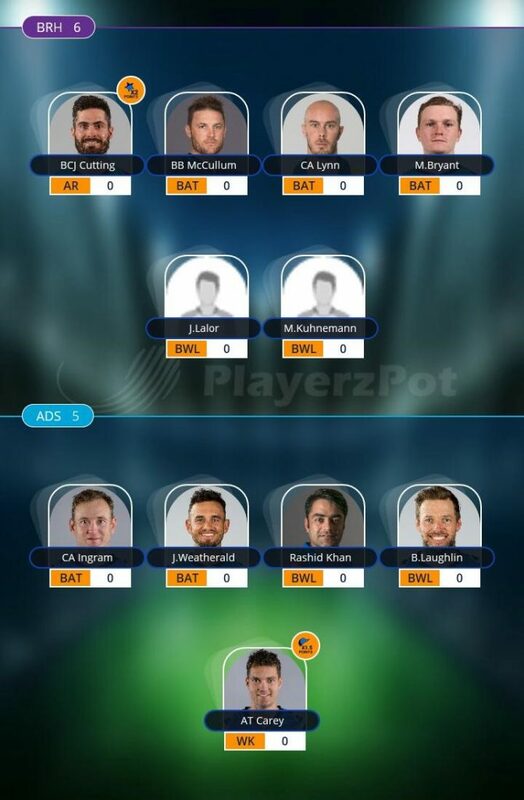 Adelaide Strikers: Alex Carey, Jake Weatherald, Colin Ingram (C), Jake Lehmann, Jonathan Wells, Rashid Khan, Harry Nielsen, Michael Neser, Ben Laughlin, Cameron Valente, Peter Siddle. 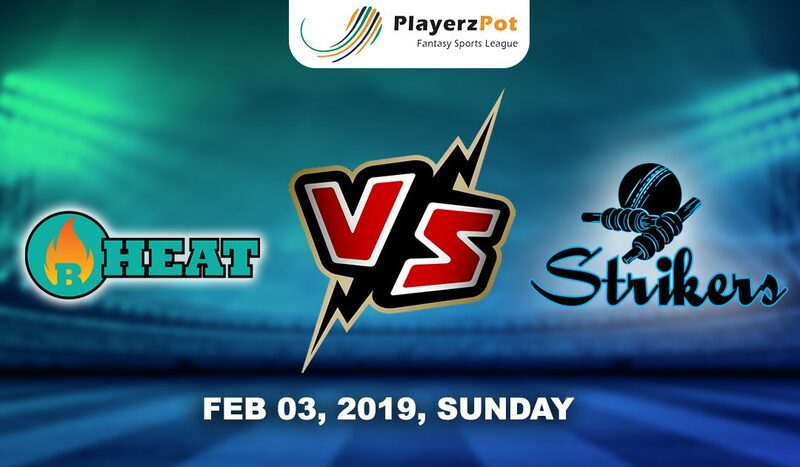 Brisbane Heat: Chris Lynn (C), Max Bryant, Brendon McCullum, Jimmy Peirson, Matthew Renshaw, Alex Ross, Ben Cutting, Matthew Kuhnemann, Josh Lalor, Mitch Swepson, Mark Steketee. Adelaide Strikers should win this match as they have better bowling than Heat.